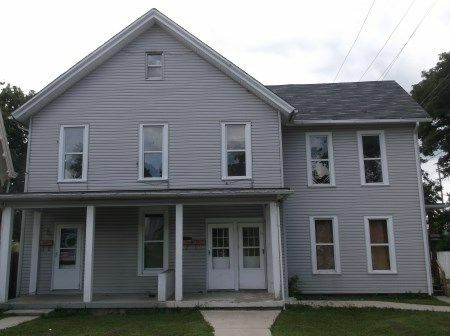 Being a 3 story five unit apartment building complex plus two additional single family dwellings located @ 317/319 Western Avenue, Circleville OH; SOLD AS A WHOLE! That is seven separate units with separate utilities for each unit. 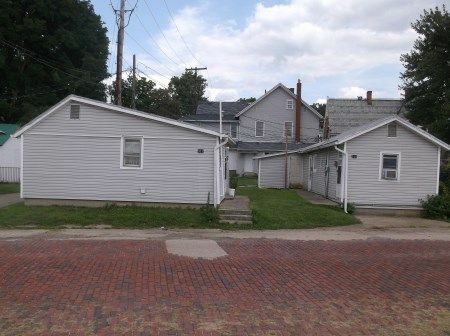 This complex fronts on two streets (Scioto Street & Western Avenue) and has side alley access with off street parking. The five unit apartment complex is a vinyl sided 3 story building with shingle roof, some replacement windows & many updates included. The units include: Unit 1 (319 Scioto St.): 1 bedroom apartment with kitchen; front room; and full bath. Unit 2 (319 ½ A Scioto St.): 1 room efficiency with kitchenette with double sink, bathroom and 100 amp breaker box. Unit 3 (319 ½ B Scioto St.): Upstairs unit with full bath, kitchen w/washer/dryer hookup & linoleum flooring; living room; 3rd floor: two rooms with adequately high ceilings; 100 amp breaker box. Unit 4 (317 Scioto St.): 1 bed; 1 bath with kitchen. Unit 5 (317 ½ Scioto St.) Upstairs unit: small living room; bedroom; full bath with shower over tub; eat-in kitchen; 100 amp breaker box. Unit 6 (319 Western Ave.): Being a vinyl sided, metal standing seam roof, block foundation home consisting of 1 bedroom 1 bath single family dwelling. Unit 7 (317 Western Ave.): being a vinyl sided with metal roof single family dwelling consisting of 1 bedroom; 1 bath and living room.